Innovative projects in every school and in every curriculum area have been launched due to the ongoing classroom grants program of the La Crosse Public Education Foundation. More than 80 grants, totaling more than $100,000, were awarded during the 2014-15 and 2015-16 school years. Increasing grant funding continues to be a top priority for the LPEF Board. Here is a roundup of recent grant funding, broken down by school. More than $4,000 in grants have gone to support projects that serve all nine elementary schools, including helping buy ukuleles used to teach students the basics of stringed instruments. Also, a $2,492 grant paid for printing booklets on La Crosse history. Highlight: Teacher Allison Graumann received a grant for hands-on materials to help first-graders learn math skills. Highlights: Teachers have taken students on field trips to a community farm, and purchased classroom materials to help children take “brain breaks” and develop other strategies for increasing focus and mindfulness. Teacher Michael Lawrence received a grant to have his SOTA I students participate in a two-day science boot camp at Viterbo University. Highlights: Teachers received grants to buy alternative seating, such as bean bags, and also other tools and materials to help students with sensory needs improve focus for better learning. Hintgen teachers shared grants with Southern Bluffs staff to receive special training in brain stimulation activities to help pre-K and kindergarten students be more ready to learn in school. River Powell, then a 3rd-grader at North Woods, cuts some of the biggest lettuce leaves for lunch. The lettuce was grown in a tower garden funded by an LPEF grant. 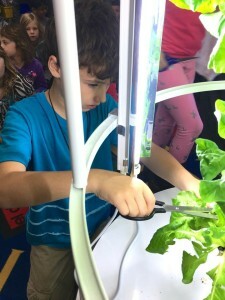 Highlights: Teacher Nancy Hanson received a grant to buy Tower Gardens, unique vertical gardens used to grow organic vegetables with only a fraction of the water needed to grow equivalent amounts of produce using traditional methods. Teacher Nicole Ellefson-Johnson’s grant to buy Osmo iPad kits led the District to buy added kits to engage students in other schools through the multiple activities in higher-level problem-solving. Highlights: Teacher Amoreena Rathke is working with counterparts at Hamilton Elementary on plans for a visiting artist who uses art as a means of therapy to understand childhood trauma. Social Worker Heather Gartner and Counselor Melani Fay organized a school-based Positive Parenting Program provided by experts from Gundersen Health System, offering training to 20 Northside families. Highlights: In addition to working with Hintgen staff to help pre-K students, grants have supported a visiting author, parent training and purchase of furniture better suited for fidgety students. Teacher Jill Schams received a grant to support a folk dance residency that was a hit with kids. Highlight: Art teacher Ronnah Metz worked with Emerson teacher Jean Crayton on a grant to buy three sets of Lux Blox, innovative construction blocks allowing students to make structures that curve, bend and move. Highlights: Teachers received a grant to bus students to participate in a concert with the Madison Symphony Orchestra. Grants have supported the annual outdoor education experience, to purchase GoPro video cameras and to hire a music therapist to teach functional and behavioral concepts to students with intellectual disabilities. Nearly $10,000 in grants the past two years have gone to projects serving multiple middle schools or high schools. Included is support for robotic ball kits, a coach for string quartets and the purchase of seven sets of the book “Gathering Fireflies,” written by Mai Chao Duddeck, a District teacher and local Hmong artist. 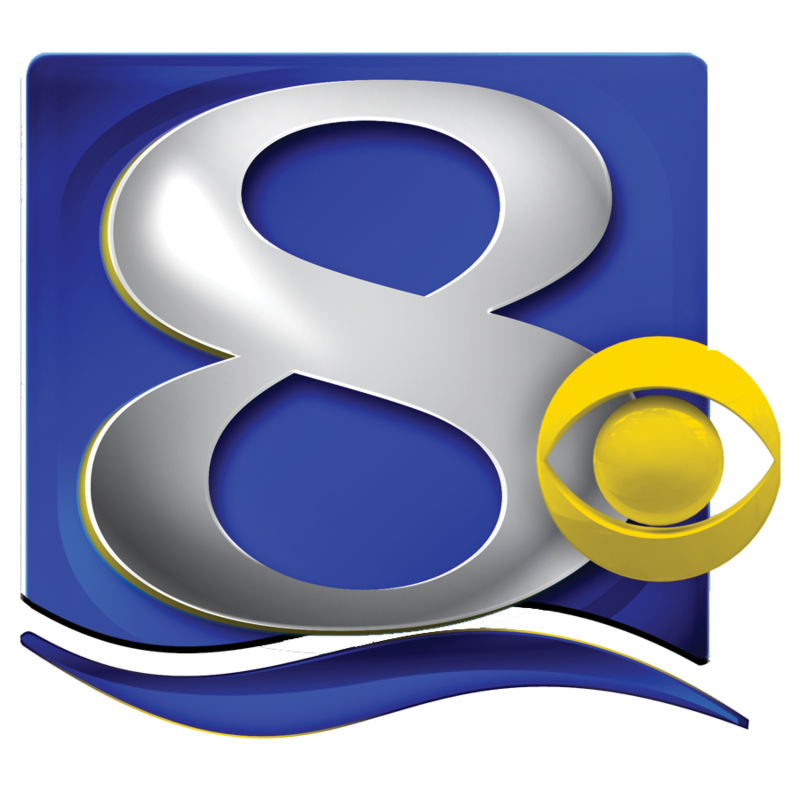 Highlights: A series of outside speakers and events have helped focus Lincoln students on the issues of compassion, kindness and anti-bullying behavior. The most recent program invited two local people to share their own tragic life stories and their experiences with compassion, forgiveness and redemption. 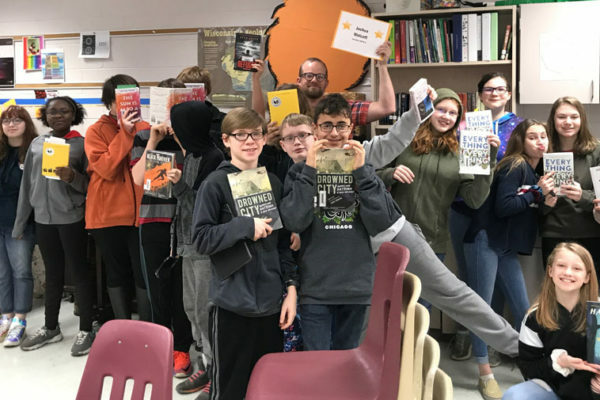 Highlights: Classroom furniture, engaging reading materials that help students reflect on their place in the world, and support for a new grand piano are among several grants. 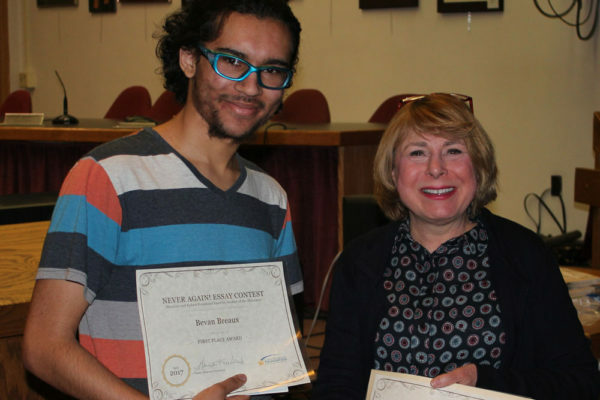 Students were joined by counterparts at other schools to work with a visiting composer. Teacher Sherrie Sikora is working with students to create canvas murals to hang in the hallways, reflecting the rich, diverse cultures represented by students and staff. Longfellow Middle 7th-grader Marissa Pickar pretends to pet a fiddler crab as Eli Gardner films her with his iPad. Green screen technology, purchased with an LPEF grant, allows students to substitute a photo into the background, making it look like she’s touching the crab. Highlights: Students at LDI received microscopes to attach to iPads, and will be working with counterparts at 7 Rivers High School to use animation software to express themselves through projects. 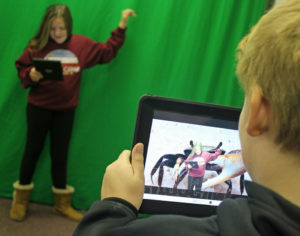 Teacher Jeanne Halderson’s grant allowed purchase of green screen technology and body suits, allowing students to record video and replace the background with scenes from anywhere in the world. Highlight: Student Trinity Isbell received a grant to buy equipment for a start-up coffee shop for students, and for staff in the Hogan building. Highlights: Broadway actress Elaine Bromka did a theater workshop. Students in technical education classes are able to work with modern welding equipment. Highlights: A McGavock Family Music Education grant helped underwrite the purchase of new platform risers for music performances. Teacher Steve Johnston has received grants to help students build a drone, and design and build a self-driving car. 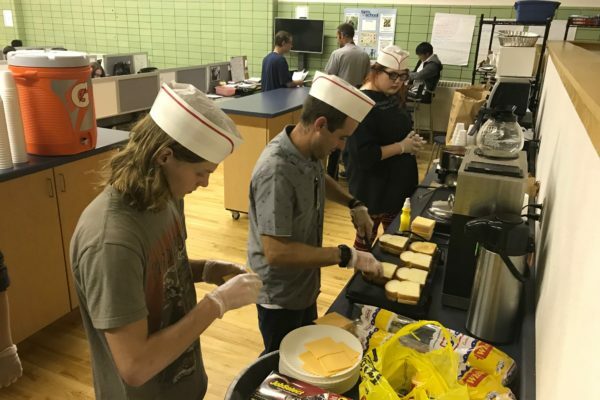 A before-school coffee shop was funded to give students in special education classes work experience, with proceeds going to support schoolwide incentives for positive student behavior.